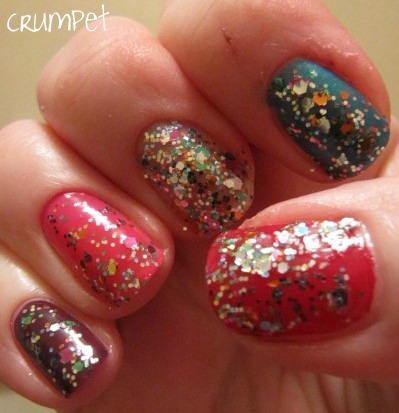 The Crumpet: Round-up : Muppets Collection, rounded up! 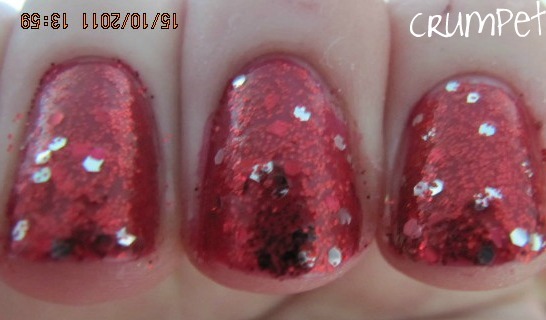 A couple of weekends ago, I was lucky enough oreceive my set of The Muppet Collection by OPI, otherwise known as “OPI tries to ctach up with everybody else” lol. In first place, with almost 2.5 times the views of its brothers and sisters, we have RainbowConnection, the crazy glitter bomb. 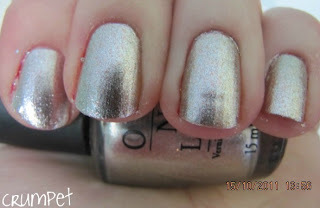 In 2nd place, the favourite of the discerning polish-aholic, Designer de Better, a metallic suede. 3rd place goes to one of my personal favourites, Meep Meep Meep, a cranberry crush with amazing glass flecks. 4th place goes to the 2nd best glitter in the collection (imo), Excuse Moi! (head toss). Beautifully named. As if OPI put Teenage Dream through the blender. 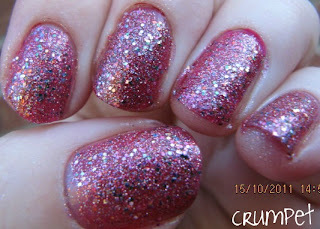 5th is Divine Swine, a violet and silver glitterama. 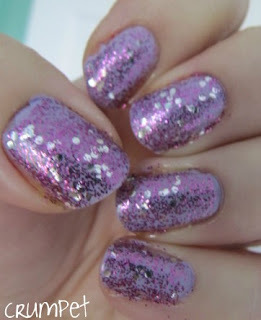 I swatched it over lilac, but this will probably look best over black, especially if you are lemming Deborah Lippmann’s Bad Romance. 6th place is a tie! Ooooooh! 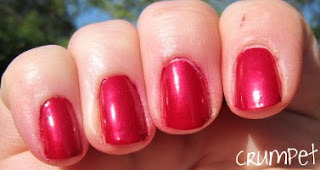 In the red corner, Wocka Wocka, my disappointment from the Collection, a reddy shimmer that OPI do All The Time …. …and Gettin MissPiggy With It, the hilariously named red cousin of Divine Swine. 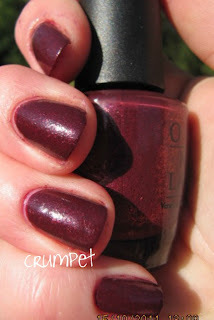 ..and bringing up the rear, Pepe’s Purple Passion, a browrple with fabulous flecking. How the hell is this last lol ??? So there you have it. 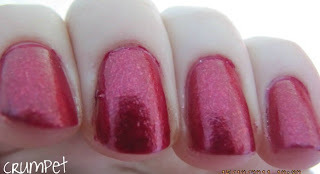 I don’t know whether Rainbow Connection is really the favourite, I suspect it was the one people were most interested to see swatches of. 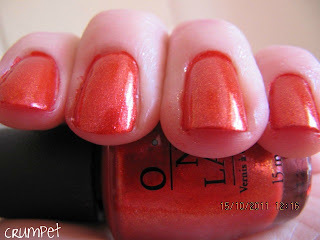 Whatever, I’m just glad OPI finally got their asses back in the game (albeit a lot late). Thank you for reading – I’m glad you enjoyed these posts, and if you haven’t already, don’t forget to enter the GIVEAWAY !!! !